Sombré: The hair trend championed by Rosie Huntington-Whiteley | HELLO! 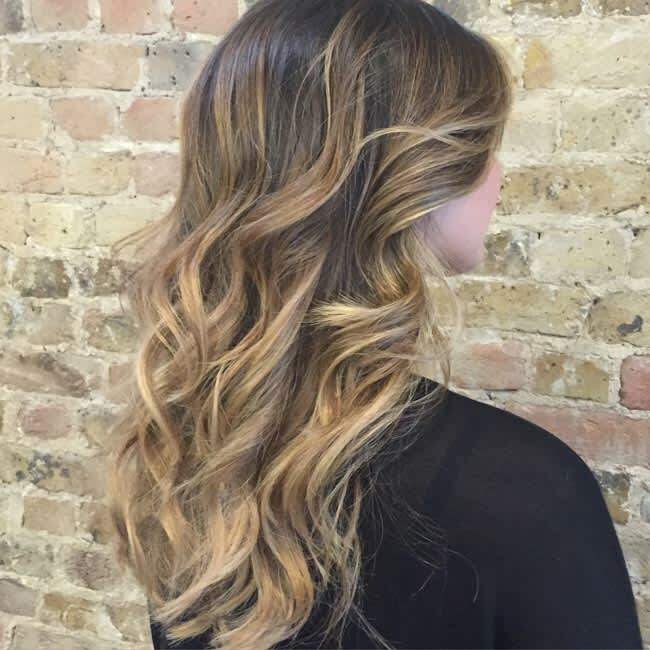 Sombré (soft-ombré) is a more subtle reinvention of the traditional ombré colouring technique. "Traditional ombré is where the top of the hair is dark and the bottom is light, with slight blending in between," she told us, explaining that sombré is something "much more subtle, blended and textured, with lighter pieces taken up higher, particularly around the face, with ribbons of colour running through the lower lengths too." The overall look is similar in that it gives the effect of darker roots and lighter tips, but the softer gradient means that it’s a far more natural, sophisticated take on the trend- perfect for working professionals. As the look is tailored to the individual, it works well on all hair lengths from a bob to flowing locks and is great for accentuating shorter layers. Seniz also added that it’s "a very low maintenance look because you're not colouring the roots, instead you’re only breaking the roots up", so you can let it grow out for months before needing a touch-up. The perfect lazy girls’ option, now there’s a trend we can get behind!